Henri-René "Jimmy" Guieu (1926-2000) was one of the leading French SF authors of the 1950s and 60s, before he turned to the exploration of UFOs and parapsychological phenomena. In this classic six-volume saga (presented in English in two volumes), written in 1954 through 1956, Guieu introduced his signature hero, French paleoanthropologist Jean Kariven, and imagined that Earth was secretly caught in a vast space-time war pitting the benevolent Polarians against the aggressive Denebians. Guieu sprinkled the books with some of his favorite themes, such as UFOs, alien encounters and ancient astronauts, while delivering fast-paced SF adventure. "What you thought was green paint was their real skin. I told you, Mr. Kariven, that these beings are not human... They come from another world!" 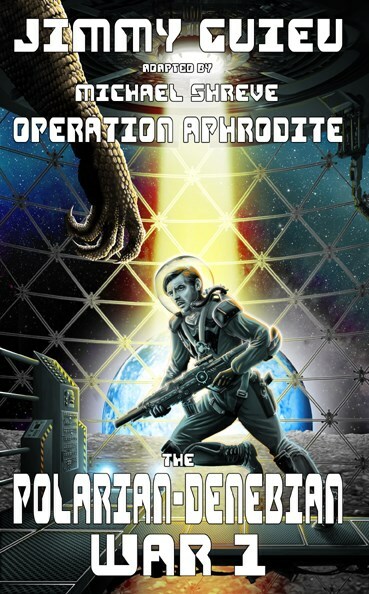 In the first three novels, Jean Kariven discovers the origins of the conflict in precataclysmic Lemuria, then finds further evidence of the war during a Moon landing, before finally being drafted into battle in the third novel, where Earth's entire future is at stake. Introduction by Richard D. Nolane.